This fifth, revised edition of Fundamentals of Textiles and Their Care takes into account the many new developments that have taken place in the field of textiles since the last edition of this book in 1983. 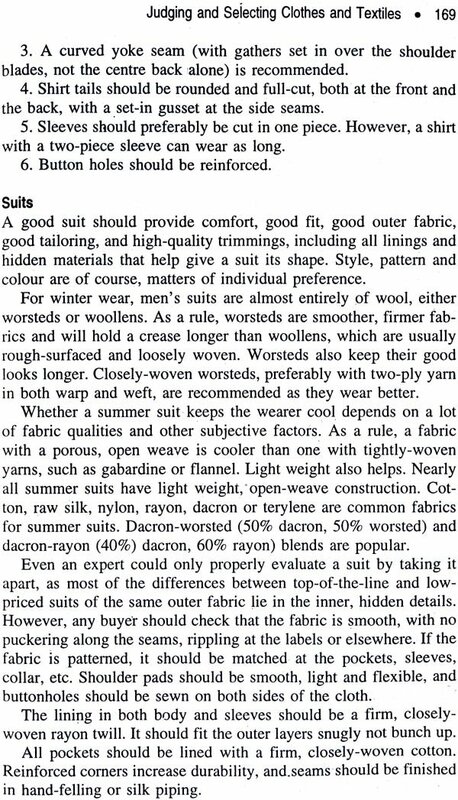 The basic organisation of the text has , however, been retained, and the study of textiles from raw material to finished products follows an orderly and logical progression. This book is intended for use by students of Home Science at the tertiary and undergraduate level. 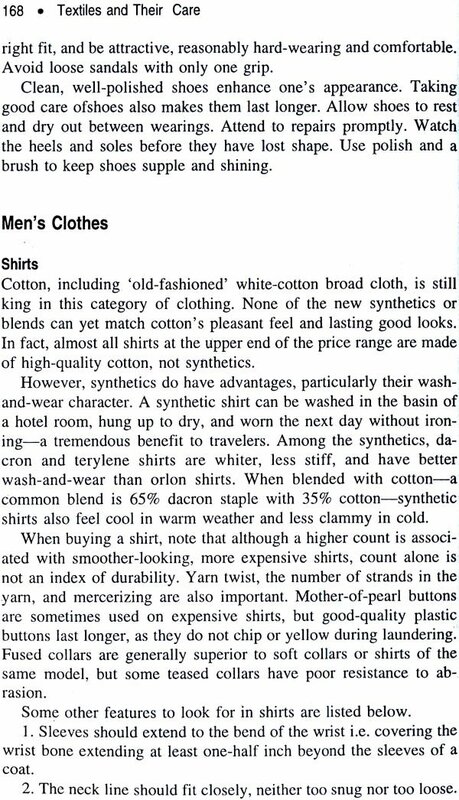 It deals with the origins, properties and manufacture of fabric - of plant and animal origin, natural and synthetic, fabric colours and dyes, laundry materials, equipment and their uses, and the laundering, ironing and storage of specific fabrics and garments Special emphasis has been given to the care of textiles with particular relevance to Indian conditions. The late Susheela Dantyagi was Head, Department of the Textiles and Laundry work, Lady Irwin College, New Delhi. She was also Joint Director (Home Science) in the Ministry of Food and Agriculture, Founder Dean, of the College of Home Science. Punjab Agricultural University, Ludhiana and honorary professor of Textiles at the SNDT College for Home Science Bombay. There have been many new and interesting developments in the field of textiles since the publication of the fourth edition of my book Fundamentals of Textiles and Their Care. The Production of man-made fibres has overtaken that of natural fibres. New fibre blends and fabric trends have arrived in response to fashion changes and market demand. The programming of computerized knitting machines permits the translation of patterns from paper to fabric in minutes, in an infinite variety of colours, in response to fast-moving fashions and markets. The development of our handloom and knitting industry ahs gained momentum, and both have expanded their markets at home and abroad. The garment industry has grown enormously, making significant contributions to India's exports. New laws have been passed to protect consumers of textiles, by requiring, for instance, clear and informative labels. This edition had been revised taking these changes into account. The general organisation of the original text has, however, been largely retained because the study of textiles from raw material to finished product follows an orderly and logical progression. Fundamentals of Textiles and Their Care was written with the primary objective of imparting information on textiles to students of an introductory college course so that they develop an interest in textile that motivates further study, and to recognise the values that enter into the selection and care of textiles. While the information has been updated, the basic objectives remains the same. My grateful thanks to my colleagues at various home science colleges. Acknowledgements must also be made of the kindness of authors and publishers who have given permission for the use of their material; their names are given in the bibliography.